While it is known that the US government engages in unauthorized spending and black budgets, quantities this large abuse basic Constitutional and legislative requirements on spending. Shortly after Skidmore’s findings went public, the Pentagon announced the first ever audit of the Department of Defense (DoD). Despite having $2.2 trillion in assets and billions of dollars flowing through each year, the DoD has famously never been audited. The audits are set to begin in 2018 and occur annually. Defense Department’s Comptroller David L. Norquist is confident that the audits will benefit DoD’s management of tax dollars and establish confidence in Congress as well as the American people. 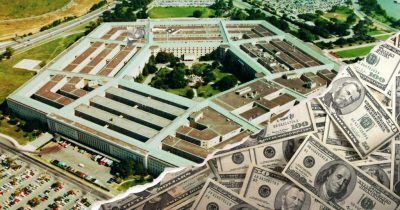 In addition to depriving the public of access to US financial accounting reports by disabling links, the Department of Defense’s clever implementation of an audit bent this twisted act into a positive endeavor for DoD in the eyes of the public. Apart from Forbes’ brief report on the adjustments and NPR’s recognition of the first audit, US corporate media has failed to recount any of the details concerning the shocking findings of Mark Skidmore’s research.